For a Friday appointment at the DEC contact the SBDC at 614-287-5294 or email Thalia Amador at tamadorl@cscc.edu. Please join the Dublin Entrepreneurial Center (DEC) and the Ohio SBDC of Columbus State for free professional advisory services to assist you in creating, developing or growing your small business. These services are by appointment only every Friday of the month, however, on our “jelly” days (2nd and 3rd Thursday of the month) you may also drop in from 10 am – 1 pm. Services Offered: The SBDC works with entrepreneurs and small business owners seeking assistance in growing and building their businesses. They offer an integrated combination of consulting, advising and educational programming that has been developed to support the business management and technical assistance needs of the Central Ohio small business and entrepreneurial community. The business coaching process includes assessment of the current business position, identification of challenges impeding growth and the development of an implementation plan to advance the business forward. Evaluation of funding needs, financing options, selection of lender, investor or alternative funding source and assistance with loan packaging in partnership with lender is one of many business growth services provided. 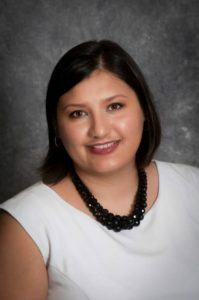 Thalia Amador is the Latino Business Adviser and an Accredited Business Planning Advisor for the Ohio Small Business Development Center (SBDC) at Columbus State Community College. In this role, Thalia provides coaching and advising to new and existing business owners to ensure the healthy growth and success of their business, coordinates trainings in Spanish for the Latino Center and provides business valuation assistance. She is Thalia has over ten years of customer service experience with a specialty in Risk Management/Insurance for individuals and Small Businesses, holds a Property and Casualty Insurance license for the state of Ohio since 2005, is OSHA 10 Certified and an Accredited Business Planning Advisor (ABPA). Thalia has a Bachelor’s in World Economy and Business from The Ohio State University. Thalia is the Vice-president of LEON, a non-profit organization that advocates for issues that involve the Latino/Hispanic community in Columbus. Thalia was Project Manager for the Latina Mentoring Academy for 3 years, a program that empowers Latina women to advance personally and professionally through mentoring and training workshops.